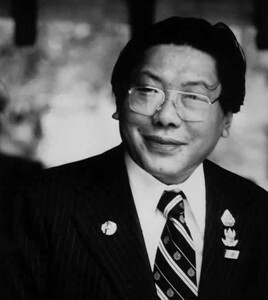 Born in Tibet, recognised as an exceptional reincarnate lama at an early age, and trained in the rigorous monastic tradition of Tibetan Buddhism, Chögyam Trungpa Rinpoche fled his homeland during the Chinese Communist invasion. After a period in India he arrived in the West from feudal Tibet at a time when the Beatles were No. 1, the Profumo Crisis was gathering pace, and the Vietnam War was always in the headlines. The culture shock for the young monk must have been immense. Yet what disturbed him most was how uncomfortable we are in our skins and how we are continually focussed on self-improvement having rejected ourselves as not up to the mark. In response he set out to make the traditional Buddhist teachings directly relevant to people in the West and founded the Shambhala International network of meditation centres. His teachings on Shambhala Buddhism are now recognised by many Eastern and Western spiritual leaders, including the Dalai Lama, as pivotal, authentic and profound. Chögyam Trungpa Rinpoche died on April 4, 1987, in Halifax, Canada. He is the author of numerous books including Shambhala: Sacred Path of the Warrior, a guide to developing bravery, confidence and openness. Cutting Through Spiritual Materialism is now a classic text of Tibetan Buddhism. It highlights the universal tendency to see spirituality as a process of self-improvement which only reinforces the ego, rather than relaxing into our inherent wisdom. In The Myth of Freedom Chögyam Trungpa shows how our attitudes, preconceptions, and even our spiritual practices can become chains that bind us to repetitive patterns of frustration and despair. He explains how instead we can begin to unwind this process and orient ourselves instead towards the path of enlightenment.